Cards featuring information on Mollie Tibbetts. People living in the central Iowa town of Brooklyn are ramping up efforts to find a missing local woman. 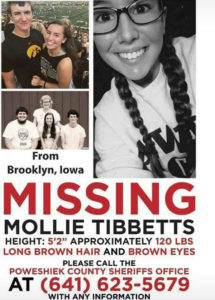 Twenty-year-old Mollie Tibbetts, who is a University of Iowa student, was last seen Wednesday night in Brooklyn. Friends and family say she had been dog sitting at the time she disappeared. 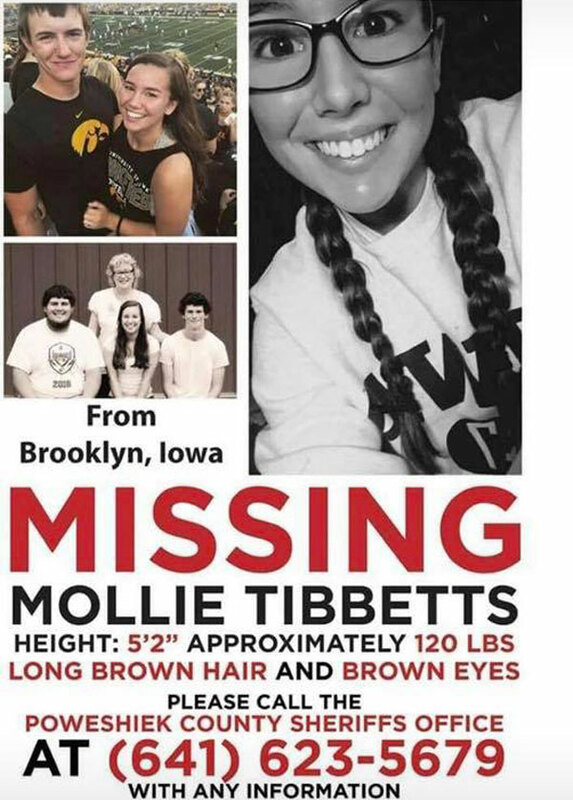 Poweshiek County Sheriff’s deputies and Iowa Division of Criminal Investigation agents met Sunday at the Brooklyn fire station to talk about the investigation, while others in the community of about 1,500 are trying to raise awareness that Mollie is still missing. Many businesses in the downtown area have posters on their front doors which describe Mollie as being five feet two inches tall with long brown hair. Volunteer Carla Kriegel talked with KCRG TV about the effort. “We’re trying to get the word out, we want Mollie home safe,” Kriegel says. Most of the posters are being made at Live Now Designs in Brooklyn. People are volunteering to help print posters and then distribute them around the area. 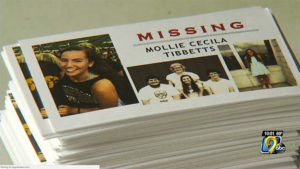 Kriegel also made cards with similar information about Mollie. “My daughter is going to put them in the pay envelopes — she works at a local business, also a restaurant — we thought we would get these around to local restaurants,” she said. Live Now Designs also plans to make yard signs, t-shirts and billboards with Mollie’s picture and information of how to contact authorities. The last community search happened Friday when the public went all through town and on the outskirts to look for Mollie. The sheriff’s office says it’ll post on social media if they need the public’s help for another search.